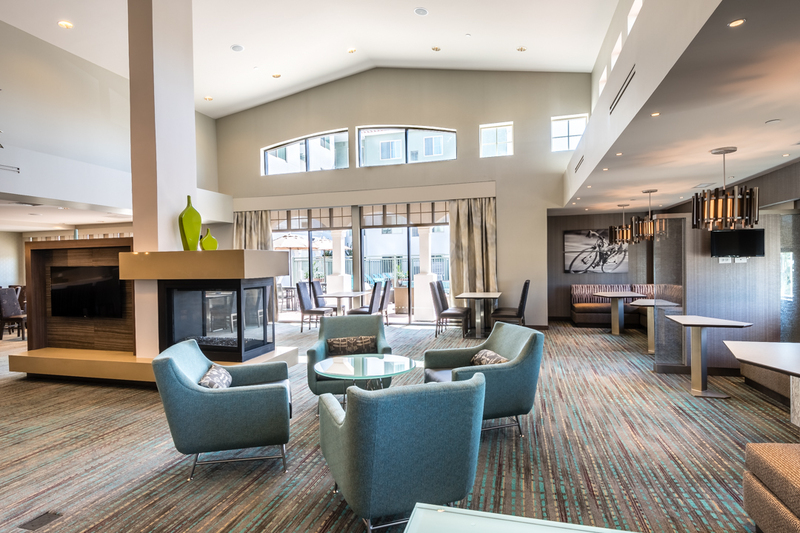 The Marriott Residence Inn Chula Vista, built by Baldwin & Sons in Otay Ranch, opened to the public Oct. 13 with a formal grand opening slated for Oct. 19. The 148-room Marriott at 2005 Centerpark Road is the first hotel in Otay Ranch, with 102,000 square feet of space on 3.3 acres with 157 parking spaces for visitors. Amenities includes a swimming pool, spa, meeting/conference room, sport court, fitness room, breakfast buffet and dining room, lounge/social area, outdoor BBQs, outdoor patio and fire pit area, lobby with fireplace, guest laundry, a self-service market, and free Wi-Fi. The Marriott Residence Inn Chula Vista will serve travelers coming from the newly completed Cross Border Express (CBX), an enclosed pedestrian skywalk bridge exclusively for Tijuana Airport passengers who cross the U.S./Mexico border as part of their trip. It also will serve people visiting the Chula Vista Elite Athletic Training Center, Mattress Firm Amphitheatre, Aquatica San Diego, and Southwestern College. Visitor demand is also expected from the nearby U.S. military as well as the shipbuilding business activity located at the 32nd Street Naval Station. The hotel is 15 miles from downtown San Diego within the Otay Ranch development, a pedestrian-friendly, 23,000-acre planned community. It is adjacent to the Otay Ranch Town Center.